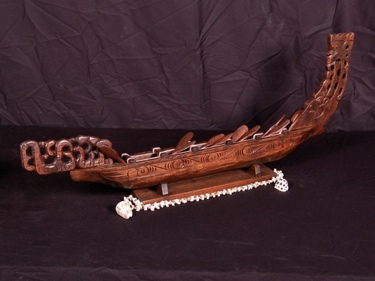 Here is a very elegant Waka canoe from New Zealand. 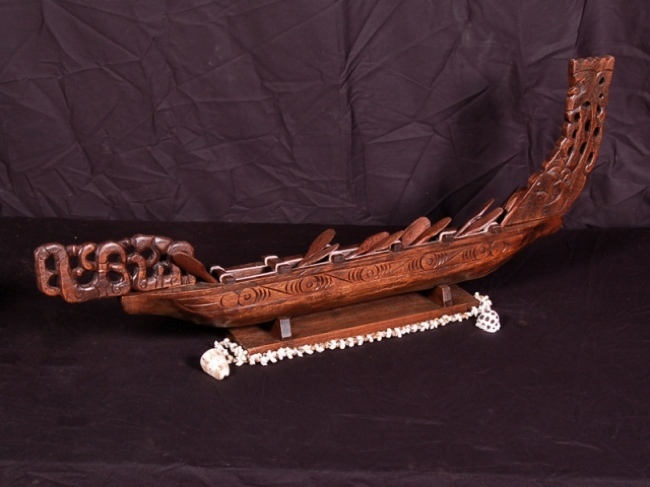 The Waka canoe was hand carved by our elite carvers you can see from the pictures the great attention to details. The WAKA canoe seats on a trophy base. Specifications: - Size:24 INCHES - Wood: Acacia Koa (dark stain) - Feature: 10 paddles trophy base Perfect corporate gift anniversary or on a special occasion!